Noel Lee Interview with Bruce Duffie . . . . . 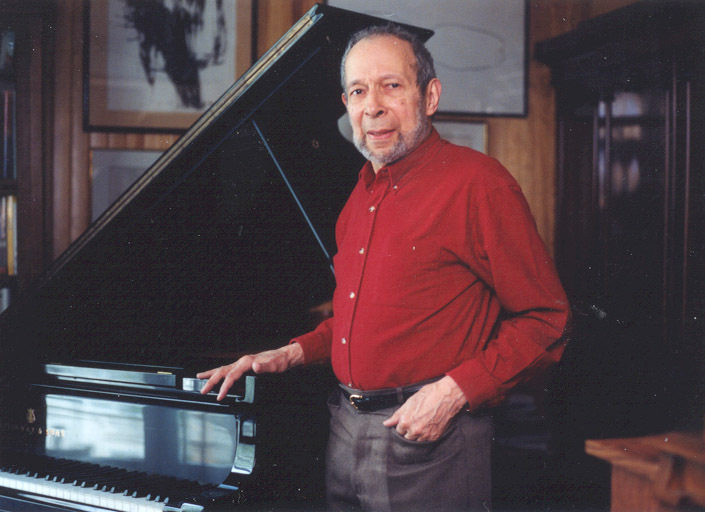 The pianist and composer Noël Lee was born in Nanjing, China, on Christmas day of 1924. Though based for many years in France, his concerts encompass well-known and lesser-known compositions, and he has made many recordings, including some world premieres. 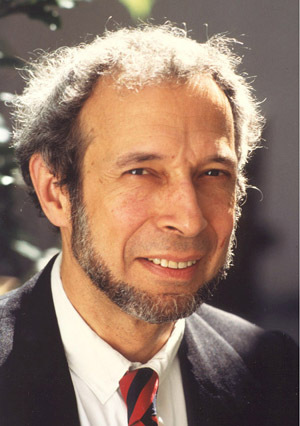 For more information about his career, see the biography at the end of this interview. Needless to say, I had him on my list of proposed guests as soon as his work became available to me. So when one of his tours brought him back to the US, we made arrangements to chat. Though not in Chicago, a stop in St. Louis provided time for a phone call, and here is what we said on that afternoon . . . . .
Bruce Duffie: You are a rather multifaceted musician. How do you divide your time between the composing and the performing. Noël Lee: Well, that depends. It's rather aleatoric. That is to say, the performing takes first choice in the sense that the performing dates are set dates, obviously, so the programs have to be worked out. And when the pressure is less, then I put some composing in. But something is always going on. If I'm not composing I'm often copying parts to chamber works or orchestral works, or making arrangements. There's always some compositional activity, or related activity going on. BD: If you needed some time for composition, could you tell your agent not to give you quite as many performing dates? NL: Well, it depends, actually, on how you arrange your schedule... You can't refuse certain performing engagements unless they are ones which don't interest you, but the ones which interest you, you don't want to refuse. [Chuckles] It really is a hazardous occupation which I'm used to after all these years. Some seasons there are lots of concerts; other seasons there are not so many. There's no set schedule, so that sort of thing, is very difficult to say. BD: So you essentially make your living, then, from the playing. NL: From the playing, yes. That's the way I make my living. Teaching comes very sporadically. I have no regular teaching job, and that's been part of the plan. It's not that I don't like to teach. I would like to very much, but those are three different activities which are really full-time activities, and two is already enough! BD: [Laughs] You mean you don't want to overload yourself even more? NL: [Chuckles] Well... if you want to put it that way, yes. BD: Being a performing musician of standard repertoire and also new repertoire, does this influence your compositional style or technique? NL: I don't know. That's a very interesting question. [Thinks for a moment] Perhaps it did at one point, but I don't think it does now, because it's a different world. The ideas you have for composing exist in themselves and they are around. Sometimes you hear something by somebody else, or you hear a work, even a jazz piece... I remember a few years ago, I heard, by chance, on the radio, sort of very impertinent jazz playing, and it was Oscar Peterson. That immediately gave me an idea to write a piano piece. I wanted to write a piano piece with this sort of same impertinence, this very quick way of saying things and getting around things, and so forth. But that doesn't necessarily have anything to do with what I was playing at the moment. It was something I heard exterior, in other words. BD: Are there times, perhaps, when you're playing, that you do get a good, solid idea and you can't wait to get back to the dressing room to jot it down? NL: Yeah, that happens, but usually those things take a long time in gestation. Then, when there's finally time, I can start working it out. I used to be a rather quick composer; I'm not a quick composer anymore, because things take longer to go through, simply because I don't want to repeat what I've done before. There always have to be other problems. Each piece has to try to solve another problem in composition. I'm not very articulate about this subject 'cause I don't have the occasion to be verbally elegant. BD: This is perfectly fine. You're bringing forth a number of ideas, and this is exactly what I'm looking for in this interview. BD: As you're composing, then, you have a piece that is perhaps partially written. Are there times when a series of performances will fix in your mind how you want to proceed with the composition? NL: Having a series of performances means that I leave a piece, and when I come back to it again, I have a different perspective. I'm a little more detached from it and then I can see what works or what doesn't work. I might have a different idea about what I should do or how I should continue, or maybe a section which should be changed. When I compose, the sound is extremely important. I'm not a paper composer in the sense that I do everything on the desk without listening to it. I always listen to it. When I'm writing a piece, even if it's not for piano, I play as much as possible into a tape recorder at the end of each day so that the next day when I get going, I can listen to it as it exists and find out exactly what it should be, or what it gives. BD: Oh, I see... to give yourself a running start. BD: Turning my previous question on its head, when you get to where you think a composition is either finished or nearly finished, do you purposely put it aside to see how it will gestate a little bit, and then come back to it a month or two later? NL: Sometimes. There again, it depends. Sometimes I get myself involved in performances and I promise to write a piece. Then I have to do it very quickly and there's not enough time to stand off and look at it, in which case I perform it and then come back to it later. Some pieces I will revise slightly throughout the years, and some pieces I never touch once they're finished. Those things depend... Part of it is that when you compose, you have a feeling of, "Maybe there's a couple of measures that aren't quite right. It goes from one place to another, but this bridge isn't quite right." It's unconscious. You are aware that you are feeling something and you go back to see what you can do. Then you are conscious of it, but often the whole process is totally unconscious at first. BD: Are there are times when the pencil will lead your hand rather than you, consciously, leading the pencil? NL: I would say the sound might lead the pencil. If I'm playing or improvising, maybe the fingers go someplace else and I think it's a very good idea. There is a very careful balance between sound, idea and how to explain the unfolding in time, the length of time that these ideas go on. BD: Where is, or where should be the balance between this inspiration that you get in the unfolding of time, and the technique of writing it all down? NL: I don't know. [Both chuckle] I really don't know. In a way, it is all instinctive, and if something doesn't work, then you are conscious of it. If it works, then you let the instinctive part take over. BD: OK, so you're writing and you're writing, and you're tinkering, and you're revising. How do you know when it's finished? NL: I think you know when you've arrived at what you wanted to do! Sometimes when you start off, you're not quite sure. It's a very vague idea of what you want to do. As you do it, your ideas get more precise; they're more focused. When you finish the piece, if it's completely focused, then you know, I would say. BD: You perform a lot of solo piano music and chamber music that involves the piano; are you the ideal interpreter of your own scores? NL: Sometimes one hears other interpreters and you get different ideas about the music. I've had that happen to me very recently. I saw a videocassette of somebody playing a piece of mine that I'd written for a friend at Harvard last year or a couple of years ago. I hadn't heard the performance, so I saw this cassette and I thought he made a very strong piece out of it. It was a very definite piece of music, whereas I had written a sort of prélude which was supposed to lead to other things afterwards, and which does lead to other things. But he had only this one piece. For him, it was a piece that existed in itself, and he made something very solid. I was quite surprised! I wouldn't have played it that way myself, but I could understand his playing it that way. BD: So he made it stand on its own. NL: Exactly, which it had to do. BD: So this was neither good nor bad; it was just another interpretation. BD: I see! Well, how much interpretation do you want, or expect, on the part of the performers? NL: Oh, I think a lot, as long as the basic idea of the piece is there. I think a composer should be as specific as possible in all his indications, including metronome marks, and, of course, the dynamic markings and everything like that. But even within that, there's a lot of leeway. BD: Are you one of these composers who leaves a fairly clean score, or is it littered with lots of little indications here and there? NL: No. No, it's not littered. My scores are not easy. People complain that my piano writing is not at all easy, but for me, the piano is the orchestra and I think orchestrally very often. That is to say in different colors and dialogues. I write that way, and then sometimes the piano part doesn't seem to be understandable at first. But I don't think I'm a finicky composer in that sense. BD: Would it be completely wrong, then, to orchestrate some of your piano works? NL: No, perhaps not. [Chuckles] It's an interesting idea. My music is idiomatic for the instrument, more or less, but it might be possible. BD: When you get a commission to write a piece, how do you decide if you'll accept it or turn it aside? NL: I've never turned a commission aside. They aren't that often for somebody who is not known chiefly, primarily, as a composer. The great difficulty in my life is that I'm not known chiefly as a composer, and that's one of the reasons I don't live in my own country. As a performer you can live anywhere. As a composer, you probably have to be attached to your own country, because that's the way things work. BD: Your own country, of course, is the United States. NL: The United States, yes. BD: But you were born in China and now you're living in France, so you're really quite a globetrotter. NL: Well, I globetrotted across the Pacific when I was seven months old, so it doesn't really count, although they say the first months are the most important. Maybe that gave me the taste for globetrotting. BD: Have you subsequently performed in China? NL: No. I've performed in Australia and South Africa, and even as a soldier in the Second World War with the Calcutta Symphony, but never in China or Japan. BD: Is that something you would like to do, or doesn't it matter? NL: It would be. Musically, I don't know if it's necessary, but from a general point of view, I would of course be interested. BD: You say you're not known nearly as much as a composer. Would you want to be known more as a composer? NL: Yes, perhaps. Yes. I suppose. As far as I'm concerned I live the life I do and I don't feel frustrated about it. BD: That's good. I asked you before if you're a better composer because you're a fine pianist. Let me turn that question around - are you a better pianist because you are also a working composer? NL: Perhaps I'm a different pianist. Most critics point out the fact that I do emphasize the form, or the forms of the Romantic and Classical works. Everything that I play is very clear and I think that is perhaps because I'm a composer. Or perhaps I don't lose myself in minute details which some young colleagues do. I find they tend to chop things up into little bits and sections, rather than getting the overall view. BD: They get lost in the forest because of the trees. BD: What other advice do you have for young performers on the keyboard? NL: Oh! [Chuckles] That depends on the performer. You would have a different piece of advice for each one. I don't think there's any general rule except that often young people are very impatient. Success is considered so important that that's what they want more than anything else. I think that's not the most important thing. I think the most important thing for anyone to do is what you want to do and what you love doing. Do what you will do in any case, no matter what happens. BD: And this advice you have followed yourself? NL: Well, yes. It was natural, instinctive. It wasn't even thought out. BD: Are the youngsters looking for success, or are they looking for immediate success? NL: That's what I mean - immediate success, immediate recognition. Exterior recognition, rather than what they feel is what they want to do. Too much depends on exterior factors. BD: Is it safe to assume that you please yourself first in your performance and your writing? NL: [Thinks for a moment] I think you have to do what you feel you should do! I don't know if it's a question of pleasing; it's just a question of almost necessity rather than anything else. BD: For whom do you write your music? NL: You write to communicate and that's because of this necessity. You might say you please yourself. You don't let anything out if you're displeased with it. But one performs, and one composes to communicate. BD: Of course, of course. Well, let me ask a real easy question... where's music going these days? BD: As a part of the creative community are you not really required to keep up with the current trends? NL: [Thinks for a moment] I don't know if one is required, but it's always very informative or interesting to do so, yes. But... [with exasperation] there are so many trends! In the U.S., it's incredible how many trends there are... I would say almost even more than in Europe. And the trends seem to be more decentralized here, perhaps. Maybe that's it. The country's so big. BD: Is that good or bad, or just there? NL: It's just there. I don't know if it's a question of good or bad or not. BD: Do you feel that you're part of a certain lineage of composers? NL: Yes, but I don't think I'm necessarily part of the lineage of the younger group of composers. The people that influenced me when I was young were Bartók, Stravinsky, even Hindemith, and since then people like Dutilleux, the French composer. I was influenced by Webern but not by Schoenberg, for instance. I'd say that's question of really what moves you, what strikes you. BD: You're based in Paris, so are you more influenced by some of the new French composers such as Messiaen or Dutilleux, as you mentioned, rather than either the German school or the American school? NL: Yes, perhaps. I was very much influenced by Copland when I was young because I also knew him and all his early works. 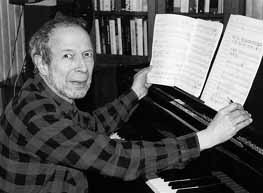 His works until and through the '60s influenced me - not so much in the way I wrote, but as a model of a composer in his society, in the way he lived and the way he encouraged other young composers throughout his life. He was always encouraging. I think that he was a very important man. Now people look down on him, and he didn't do anything in his last ten years as far as composition was concerned, but he was a human and a professional model for me. BD: And this is what you are striving to do also? NL: I don't know if I'm striving, no. In a way, I've detached myself from my country so that I can't strive for that sort of thing. BD: Why is it that you have chosen to make France your home rather than staying here in what you've said is your country? NL: Part of being American is a tradition of moving around and of doing exactly what you want to do, of living where you want to live. I think Americans are much more mobile than other people... at least they used to be. That's also because their history is so much shorter, and there's been so much room to move around. But one of the reasons was that when I was younger I stayed in France and found a general cultural atmosphere much more congenial to a young musician. You felt that the arts were something that was important, that was a part of the life of everyone. You didn't have this sort of disdain of the artist as a sort of marginal person. He was part of the society. BD: Are we making progress toward a better resolution of that now? NL: In America? I don't have that impression, but maybe I'm wrong. There are many little islands of culture throughout all the universities everywhere, and they do they influence the whole American society, but is society willing to accept the arts as a vital necessity? I don't think so. Of course, part of it is all the financial problems. The arts are subsidized by tradition in Europe. I was amazed to find out the other day, on a campus in the East, that the students there consider that classical music was the result of patronage from the courts and kings and princes, and that therefore it doesn't belong to a democratic society. BD: Hmm! Did you try to set them straight? NL: I was told this by one of the music professors to explain why they played all the commercial music very loud in the dining rooms. I was quite surprised that this sort of thing existed. Of course, commercial music is run by a very non-democratic mafia, so where does democracy come into all this? Anyway, that is beside the question. NL: I don't have the impression that the young people are appreciating or even getting to know what we used to call "classical culture." [Chuckles] You can't even say the words "classical culture" anymore without sort of feeling embarrassed. BD: It's not politically correct anymore. So, either in your writing or in your performing, how are you able to combat this kind of feeling? NL: I don't have a missionary spirit, so I'm not being militant about things. I think that one just does what one has to do and leads the life as best one can, influencing other musicians - younger musicians - if they want to be influenced... That's the only thing to. I think if I lived in this country I would probably become a militant, perhaps. But then, you know, you can only do so much in life and there's not enough time! Being a performing musician is a physical activity and it takes a lot of time. That's all. There's just not enough time to do everything that one is interested in doing. BD: Since you're about to enter your 70th year, are you at the place in your career where you want to be at this age? NL: Oh, well, one has no power over that at all, so you accept it. I've never thought about building a career in that sense, so it doesn't make any difference. Maybe I wasn't ambitious as a child, but I never would consciously build a career, so that doesn't occur to me. BD: Well, let me hit you with the big philosophical question: what is the purpose of music? NL: What is the purpose of any art? I think the purpose of all the arts - including music - is to go beyond... that man goes beyond himself. He leaves something which is beyond himself. What is the purpose of living? None of us chose to do so, but once we do, then we must, in my opinion, leave the world a little better than when we found it, or leave something which will make other people realize that there is some life worth living! BD: I assume you believe life is worth living. NL: Oh, yes. Yes. I think I'm fundamentally an optimist. NL: [Thinks for a moment, then says, not overly enthusiastically] Yes. [Pauses for a moment.] In this country I can't say, because I don't really know enough. But I would say so simply because, as with all things which have gone on for centuries, music will obviously go on. Is one optimistic about the future of architecture or about painting or about dancing? I don't know. I think yes. I think they're very necessary activities. BD: When you get to a new location, how long does it take to make the piano your own? NL: It's a question of making the piano one's own and being used to the instrument that you have for a few hours. It doesn't take long to see what an instrument can do. But, as always, the best rehearsal is the concert itself. Sometimes you realize during the concert what should be done or how you can treat this instrument in such a way that it will communicate in the most efficient way. As a pianist, that's something you have to learn all the time with different instruments. I think, in general, that lots of progress has been made. The instruments that I deal with are better than they used to be. I'm talking about the '50s and '60s in Europe, especially in France, where the instruments were not good. They're certainly much better now, and very good instruments are being made in Europe. In America, too, I've had very good luck so far. Each instrument's different, and with each one you might wish something else had been different, but then you hear other things you'd never heard before. BD: Have you come across one that you wish you could just put in your pocket and tote around all over the world because it had everything? NL: Sometimes you run across that, but then you wonder... The other thing about the piano is the hall, and you don't know the hall, either. So is it the acoustics of the hall, or is it the instrument, or is it a combination of both? I did have the opposite experience several years ago in a provincial town in France where I'd had a piano which I liked very much brought in from Paris. When I played the concert, there was no sound in the piano at all. I knew the instrument, so it was the hall. It was an absolutely dead hall. Fortunately that experience doesn't happen very often. BD: [Chuckles] I would hope not. Now you've made a particular study of music for piano four hands, and two-piano music. Why is this? NL: It's not so much a study as a performance. It all started through a record company. The director knew I was a Schubert fan and had recorded all the sonatas, so he said to me, "Why don't you think about the four-hand music?" I had been an advocate of the Schubert four-hand music for a long time and another record company didn't think it was an essential part of his output, so when this occasion came up, I started making records. We made, at that time, six LPs of Schubert and then branched out and decided to make other composers, too. The latest one was a record of two-piano and four-hand music of Debussy, including six unpublished works which had recently been discovered from his early period, when he was 18, 20, 22. BD: Now this brings up another question. Do you play the same in the recording studio as you do in the concert hall? NL: No, I don't think so. In the recording studio you're still communicating, but you're communicating something which has to be absolutely note-perfect, because there's nothing worse than listening to a recording over and over again and having the same wrong note come up each time! In a hall you're communicating directly that minute. In the recording studio you have to decide exactly what you want to do before you start. You can't depend on the inspiration of the audience, or the feeling that people are listening to you. You have to know exactly how you want a piece to sound, and go over it until you get it that way. But of course in recording studios, you can do anything now, so there's no excuse not to do something exactly as you want. BD: Is there any time when the recording that is eventually published becomes a fraud? NL: Everything that's on the record you played yourself, so how can that be a fraud? You didn't play it, perhaps, all at once as you do in a concert, but you did play it. The only thing is that sometimes people who listen to records a lot don't get to the point, and when they go to the concert they're disappointed because it wasn't exactly like the recording which was made by somebody else. If you do listen to records, then you should listen to several versions of the same piece if you're into it that much. BD: Is this the advice you have, then, for audiences, to get away from the records? NL: I think that the advice for audiences is that you know the music so well that you make your own opinion immediately. But that's the professional musician speaking. You can't expect people who are not professionals to know every piece and have an opinion about it, or recognize what's being done to the piece immediately. BD: But everyone sitting there will have an opinion. NL: Well, they might. They'll have an opinion after they've read the critic the next day. A few years ago I did a radio program in which five or six versions of the same piece were played, and I gave my opinion about it. I didn't know who was playing and then the announcer would indicate afterwards who had played. People don't like that, because they have to have a name. They don't want to give an opinion about a piece where they don't know who's playing, and I think that's too bad. I think you should have an opinion from what you hear, and not from what you know already about the performer. BD: You don't want to criticize something and say it was a lousy performance, and it turns out to be Rubinstein. NL: Competition? Well, there's a competition amongst all performers, I suppose. Pianists know what other pianists do, at least sometimes, and pianists know that certain famous pianists are good for certain things and not for everything. If you have a reputation, people flock to the concert and say, "Oh, that's Mr. X, and he's fantastic." But Mr. X doesn't necessarily play everything well. Many people have to have a crutch, they have to have a label. They say, "If it's Mr. X, then it must be good." BD: Do you try to program into your piano recitals a balance of old music and new music, and maybe even some of your own music? NL: Yes. Oh, yes. My ideal is to program a balance of with always some 20th-century music. Not the most far-out, because I don't play that. I don't consider my pieces really far out, and I don't think anybody else does, either, but they're probably the most far-out things I play. Now I don't play the warhorses which others play. I play practically no Schumann and very little Chopin. I used to play more Chopin, but I don't anymore. There are so many people who play Chopin well. Or at least there are so many people who play Chopin that I don't think it's necessary to put it on the program again. BD: With this vast amount of repertoire to choose from, how do you decide which pieces you'll include in your own repertoire? NL: Well, that depends. It's a practical matter. You can't have eight different solo programs in a season. I always do chamber music and some vocal programs. The tour I'm on now started with a program of French art songs and then a program of 20th century American piano music. After that was some American music for flute and piano and then two other recitals. That's the way it worked out this time. Just before coming to America, I had two recitals of 19th century music. I'd been asked for works that were not particularly well known, so I was able to include two Americans - Gottschalk and Amy Beach. Then there were some etudes by Moscheles, who was a predecessor of Chopin and a contemporary of Berlioz. BD: Do you also include concerti in your repertoire? NL: Oh, yes. Last year it was the Bartók Rhapsody, Opus 1 for recording and performance. BD: Are you basically pleased with the recordings that have appeared? NL: At the time they appeared I was very happy, but some date from 35 years ago. Now, I sort of cringe. [Chuckles] I think when one is young, one is unconscious, which is a good thing, because if you were very conscious you would be old in spirit. You wouldn't do so much, you wouldn't undertake so much, perhaps; you wouldn't dare so much. But when you get older you get more conscious, and then you see things which you might do differently, that's all. I don't think anybody would say he's ever displeased when a record comes out--unless it's entirely against what he wanted to do. BD: Then you wouldn't let it come out. NL: Yeah. Well... in theory. At this point I asked him to send me a listing of his many recordings, both current and out-of-print. Then I thanked him for spending the time with me and for all his insights into music and his career. For more information, visit Lee's Website . 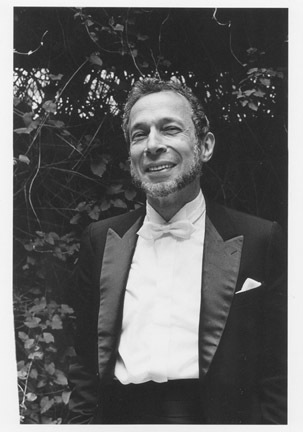 Noël Lee, American composer and pianist, received an early musical education in Lafayette, Indiana, from the age of 5. After studying at Harvard University with Walter Piston, Irving Fine and Tillman Merritt—interrupted by 38 months of military service during World War II—and at the New England Conservatory of Music, he went to Paris in 1948 to continue his education under the guidance of Nadia Boulanger. She has written: Noël Lee is one of the finest musicians I have met. Composer with a real personality, he has refinement, a sense of the hierarchy of values and a total understanding of the works. 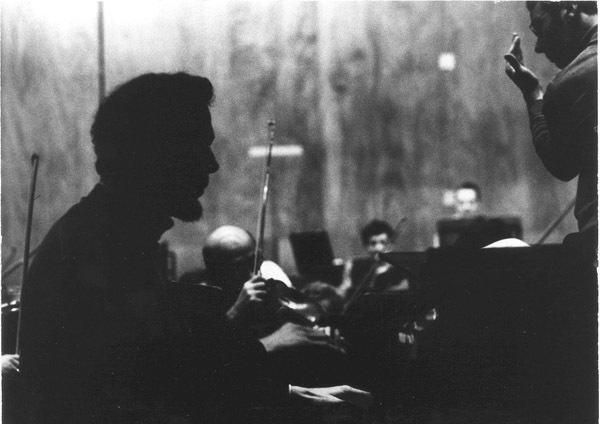 Among the many award he received in early years—including the Lili Boulanger Composition Prize and a prize in the Young Composers’ Contest of the Louisville Orchestra—the one from the American Academy of Arts and Letters (1959), in recognition of his creative work in general, is of particular interest. 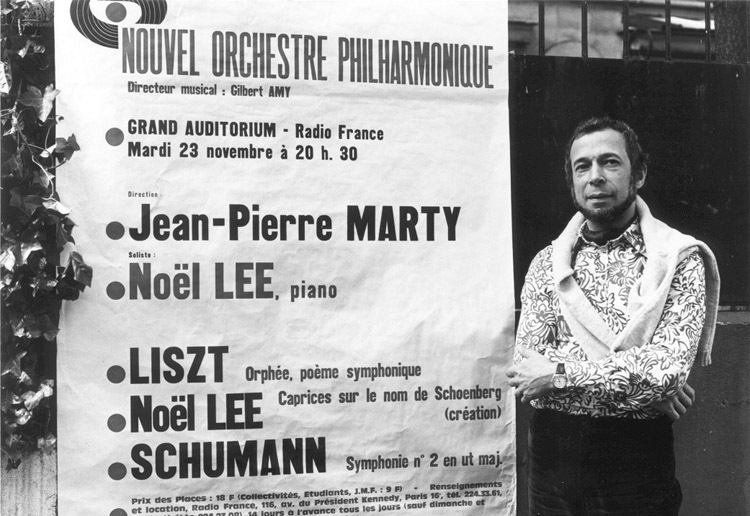 During the 1970’s, the French Cultural Affairs Ministry and the French National Radio gave him three important commissions. 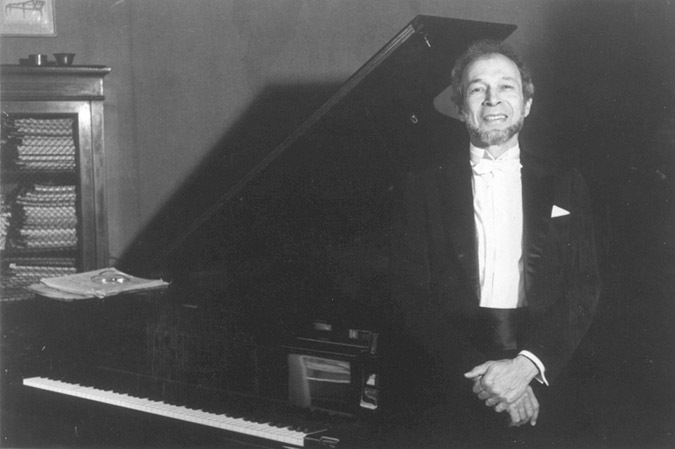 In 1986 a second prize in the Arthur Honegger Composition Contest for a set of Piano Etudes—the first prize going to György Ligeti—and in 1991, the Charles Oulmont Prize were awarded him by the Fondation de France. Aaron Copland has written: Here is a composer who writes his music with his eyes wide open, and with a kind of cool intensity the defines his personality…Music to him is a natural language, a language he uses without strain or mannerism…no matter how complex the textures may be, the musical discourse is always lucid and reasoned. Lee’s career as concert pianist has led him on tour on six continents. In Europe he has recorded 200 LPs and CDs since 1955, of which 14 have received a Grand Prix du Disque. This recorded repertory—from J.S. Bach to Jean Barraqué—comprises the first complete recording of all the Schubert Piano Sonatas, including several unfinished ones which Lee has completed, the entire piano literature of Debussy and Ravel, and numerous works of 20th century giants—Charles Ives, Charles Griffes, Béla Bartok, Igor Stravinksy, Aaron Copland, Elliott Carter. Over 20 disc are devoted to four-hand and two-piano works—Mozart, Schubert, Stravinsky, Debussy, and French and American composers—in collaboration with Christian Ivaldi, and several of piano-violin duos with Gérald Poulet. In addition, his repertoire includes 30 Concerti and embraces a sizable portion of 19th and 20th-century chamber and vocal music, particularly that of France. In the United States Lee has been a visiting professor at Brandeis and Cornell Universities and at Dartmouth College. In Europe he is frequently called upon to give workshops in piano, in chamber music, in vocal literature, and collaborates with publishing houses for new editions of French piano, four-hand and two-hand piano music. His edition of eight early four-hand works of Claude Debussy, of which five were published for the first time, was released in 2002 by the Durand Editions in Paris. In the Spring of 1998 the department of Cultural Affairs in the French government award Lee the grade of Commandeur de l’Ordre des Arts et Lettres. In 1999 he received from the city of Paris the Grand Prix de la Musique and in 2004 la Grande Médaille. This interview was held on the telephone on October 21, 1993. Portions were aired on WNIB (along with recordings) in 1994 and 1999. A full copy of the audio was placed in the Archive of Contemporary Music at Northwestern University. It was transcribed in 2007 and posted on this website at that time.